The sound of the little yellow ball will be the backing track for a fortnight from May 27th to June 10th, 2018 - or even the week before if you want to follow the qualifications and see the emerging champions of tomorrow in action. For two weeks, Paris revolves around the Porte d'Auteuil and Roland Garros and the entire city is enthusiastic about the success of some, mourns the defeats of others, and trembles at the slightest cloud that could announce the release of the tarpaulins. You'll love the convivial atmosphere on the terraces, the nonchalant pace as you descend the paths and the many emotions you'll feel as you watch the heroic battles of champions! Les Plumes Hotel cultivates the literary tradition of 19th century Paris. Its refined décor is inspired by some of the country's greatest writers while its ideal location enables you to enjoy exciting evenings in the Parisian theatres. And of course, you can easily organise days at the Roland Garros from Les Plumes Hotel. Our friendly staff will advise you of public transport links and the best routes to Porte d'Auteuil. 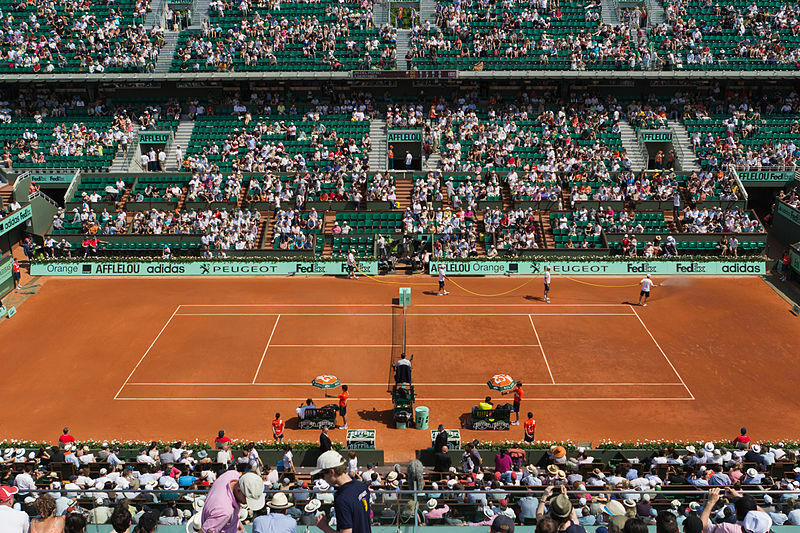 Days dedicated to tennis and cultural evenings will be the basis of a typical Parisian stay. And as you flit between the two, our Honesty Bar offers the perfect space for tea or a refreshing cocktail before you resume your activities! Paris lives to the rhythm of tennis at the end of spring. Let yourself be swept up in a literary whirlwind and get sporty with France's famous international tennis tournament during a rousing stay at Les Plumes Hotel.